FRAMINGHAM – After voters approved the Framingham Home Rule Charter in April, a 7-member Framingham Bylaw Review Committee was appointed by Selectmen. That Committee is now scheduled to make its recommendations to the newly-elected 11-member Framingham City Council on Wednesday, December 6. The “report, though reflective of substantial work and effort, is only a recommendation. This is the first step in a multi-step process. A successor committee will be appointed by the incoming Mayor to further review and make recommendations ultimately to be approved by the City Council,” wrote the Committee in its report. Members of the Committee were Chair George King, Vice Chair Michael Gatlin, Joel Winett, Bob Berman, Adam Blumer, Andrew Limeri, and Nicole Singleton. Note: King is one of the newly-elected 11-member City Council. 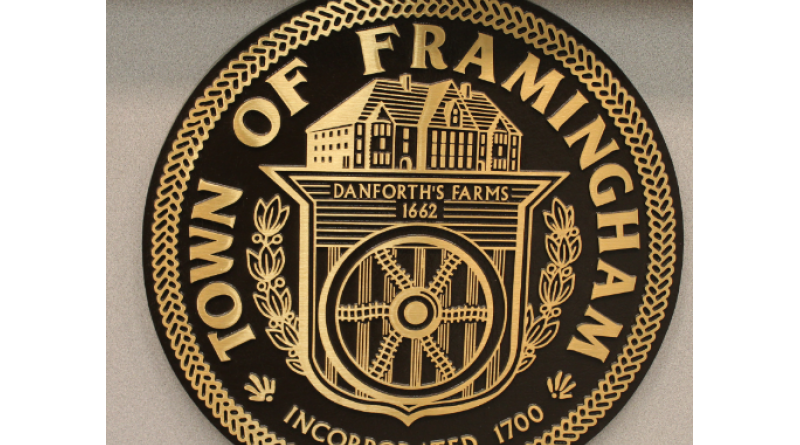 King and Blumer were two of the 9-member elected Framingham Charter Commissioners. “There were several issues that the Bylaw Review Committee (BRC) discussed and felt merited serious consideration, but ultimately decided it was not in the purview of the Committee to act upon. Instead we have consolidated several suggestions and recommendations for the new government to consider. In some cases the need is relatively urgent, in others more time can be taken. Some of the issues relate directly to bylaws, others are just general recommendations and observations,” wrote the Committee inits report. 1) Create job descriptions for the new positions; such as Chief Operating Officer and Public Participation Officer. 2) Determine the payment schedule of stipends for the City Council and School Committee. 3) Review the FY 17 budget for funding of stipends for elected positions. 4) The Council should adopt preliminary rules for the appointment and composition of its committees. 5) The Mayor should review the operating policies of the Board of Selectmen for his/her adoption. 7) Define the relationship of the Edgell Grove Cemetery and the City government. Simultaneously consideration should be given to the transfer of operations of the three small cemeteries to the Edgell Grove Trustees. 8) Consider adopting a remote participation law for multiple member bodies. 9) Negotiate an agreement with member towns to change the appointment process of the Keefe Tech School Committee. 10) Consider hiring a professional company to codify and maintain the written ordinances of the city. 1) Consider codifying strong police chief and fire chief positions. The strong Police Chief and Fire Chief statutes are local options accepted by Framingham Town Meeting but are applicable solely to towns. City Council and Mayor may wish to consider adoption of some version of the strong chief’s laws by ordinance to protect management rights and provide the needed authority to the Police and Fire Chief to manage their departments in the most efficient, professional and effective manner possible. 2) Address various former bylaw powers of the Board of Selectmen and determine whether certain powers should be vested in the Mayor or Council (Article II, Section 1). 3) Develop procedures for notice of City Council actions by City Clerk as required in the Charter. 4) Assign some former FinCom powers and duties found in the FinCom bylaw to the functions of the new finance oversight board. 5) Assign some former Capital Budget Committee powers and duties to Capital Improvement Committee. 7) Review the potential of expanding the non-criminal disposition enforcement provision to more or all of the bylaws. Currently some bylaws are enforceable in this manner and others are not.